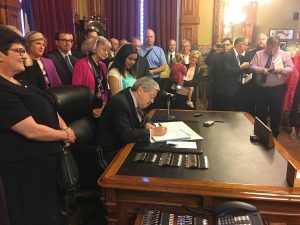 DES MOINES, Iowa-Pro-life supporters gathered at the Capitol on Friday as Governor Branstad signed SF 471 into law, a bill that bans abortions after 20 weeks of pregnancy. The bill also requires abortion providers to inform women of alternative options to abortion, to provide an opportunity to view an ultrasound of their baby, and introduces a 72 hour waiting period before continuing with the abortion. 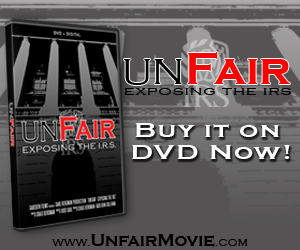 The bill was introduced in the Senate by Senator Mark Costello (R, Imogene) and in the House by Representative Shannon Lundgren (R, Peosta). 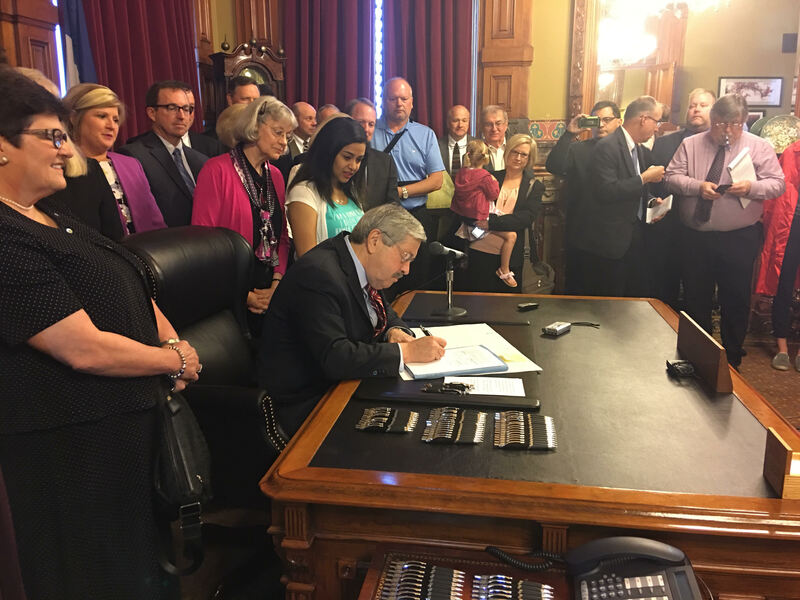 Branstad provided remarks before signing the bill. Yesterday a Polk County Judge denied an injunction requested by Planned Parenthood of the Heartland and the ACLU because he determined that the law was not likely to be successful. The groups appealed to the Iowa Supreme Court and hours after the bill was signed into law, Justice David Wiggins granted their request. Wiggins survived a 2012 campaign to oust him from the state’s top court two years after a 2010 campaign successfully removed his peers.